To clarify, I am the accidental farmer. To clarify more, I am the accidental farmer of monarch butterflies. If you have read the book, if you have read anything of this blog or if you know me in person you know how much butterflies mean to me. A breakaway monarch graces the cover of my first book, I have butterflies tattooed on my body and Chad and I have worked very hard to plant 2 (for now) huge butterfly gardens on our Mason House property. The gardens of course include milkweed in our attempt to help save the monarchs. 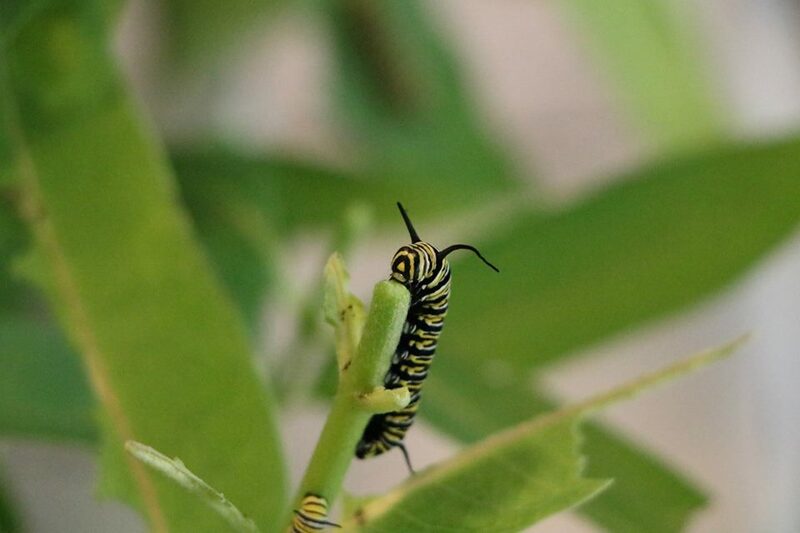 The life cycle journey of the monarch in particular is miraculous and the perfect metaphor for rising ever upward. 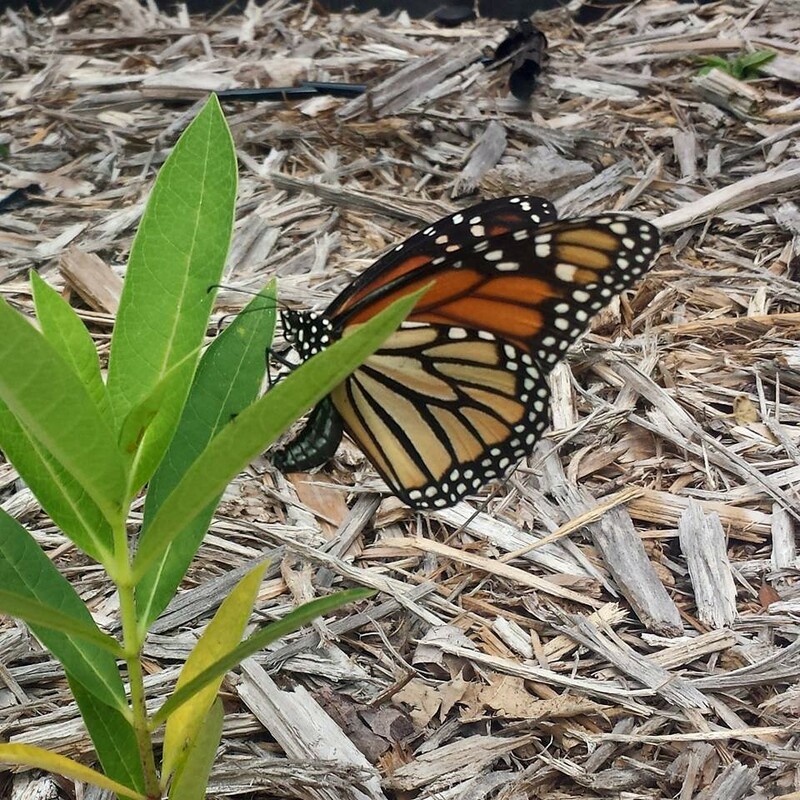 On July 4th we had the honor of witnessing a monarch lay her eggs in our butterfly garden. It was one of those moments of awe and clarity. In my usual childlike wonder I kept tabs on the eggs and researched galore on what to expect. 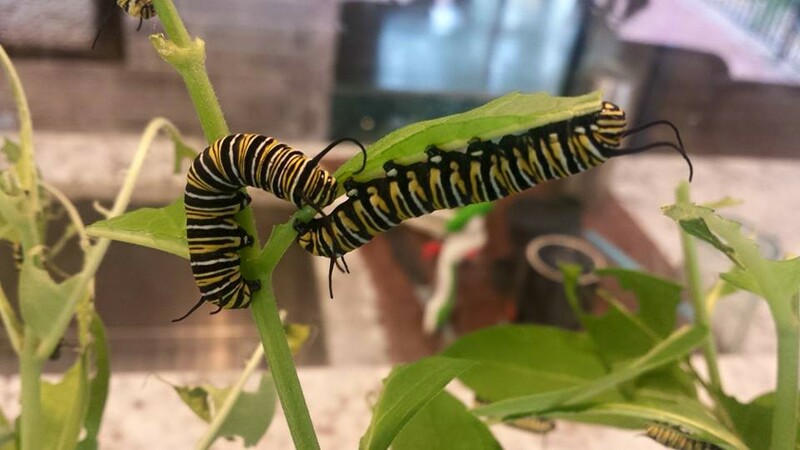 Well, I now currently have over 45 monarch caterpillars in an aquarium on my counter. In the last week we have witnessed them grow exponentially in size. 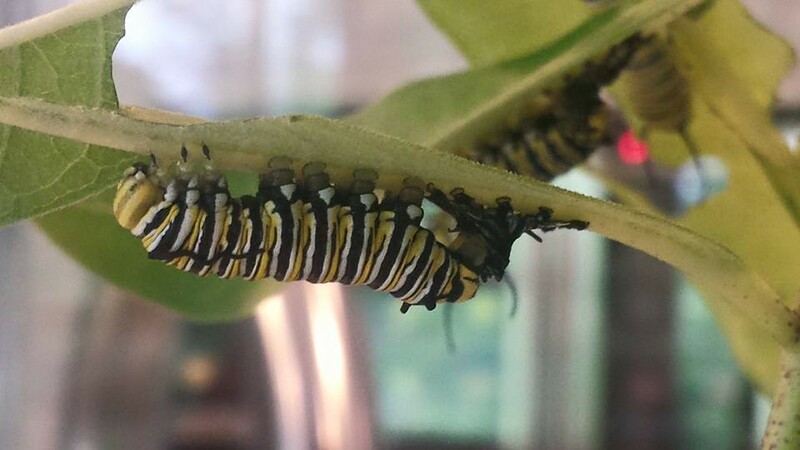 Next week we will watch them climb to the top to form their chrysalis and then about 10 days later they will emerge beautiful monarchs. Thus far we are in awe and complete amazement at these creatures. How beautiful they are, how fast they grow, what they have to go through to molt and grow bigger and how much they eat, which also means how much they poop! To watch a caterpillar literally walk out of it's old skin to grow bigger takes the butterfly metaphor even further than what is typically understood. A future writing on that for sure, I promise. For now I wanted to share what has been keeping me so busy this week. I'll be sure to post again once they are enclosed in their jade chrysalides. Here are several pics, there are many more if you would like to follow my personal Facebook page you can, I make these pictures and videos public, some are also on Instagram. Eating and growing fast in their new home. Some of them are already 2 inches long and still at least 4 days left to grow! Freshly molted - they literally walk out of their old skin to grow bigger.